Tranquil, a feeling I was seeking on my first visit to Davao City a few months ago. I know that the city has numerous developments left and right but I am sure that there exist a spot where I can find that easygoing atmosphere I’m yearning for. 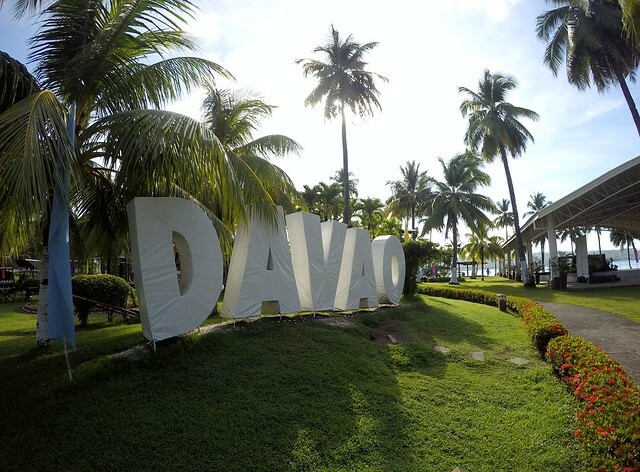 The destination was unlocked on my second visit to Davao when I made my way to Waterfront Insular Hotel Davao. Bright and breezy mornings in Waterfront Insular Hotel Davao. 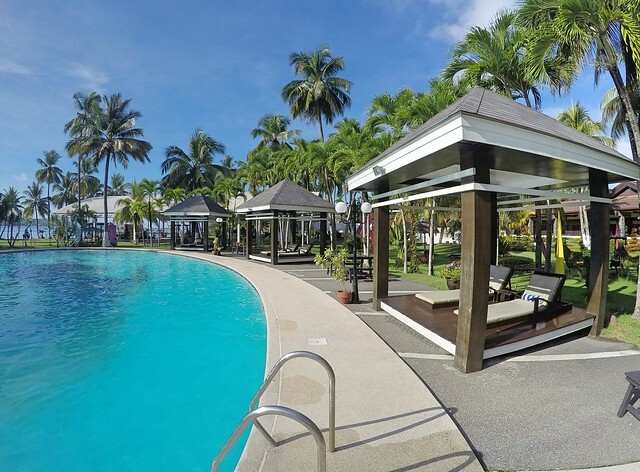 Situated in a tropical location and covering a total of eight-hectare property, Waterfront Insular Hotel Davao offers 159 elegantly designed rooms spread in six categories: Standard, Deluxe, Deluxe Premium, Junior Suite, Executive Suite, and Presidential Suite. From the front desk, everyone will notice the lobby that amusingly features a collection of items from the different tribes in Mindanao like royalty symbols and grave markings. 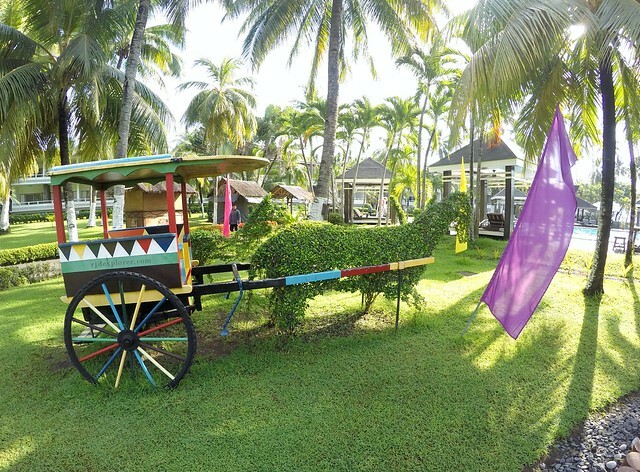 The hotel is indeed your gateway to Mindanao’s cultural heritage. Expansive garden of the hotel/resort has art installations like these. It was late night when we checked-in and had no time exploring the hotel’s garden. We went immediately to our room and welcomed by a rustic vibe that made me remember grannies home. 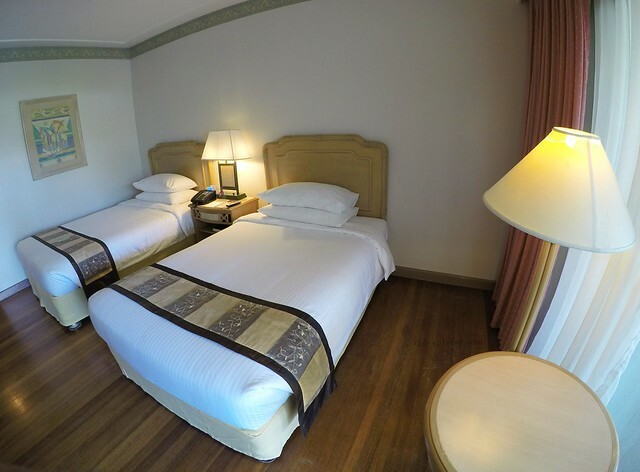 We were booked on a Standard Room having a neo-classic decor with polished wooden furniture. 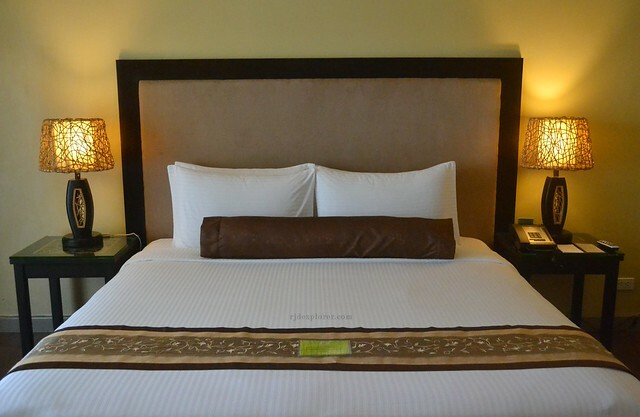 Room is equipped with twin beds, LCD cable television, IDD/NDD phone, mini-bar, safety-deposit, and air-conditioning unit. The bathroom is also cozy having a bathtub and complete toiletries from shampoo, soap, body lotion, and dental kits. Major observation I noticed on our Standard room was the old-fashioned air-conditioning unit that made me praise the management for preserving the facility that still works fine up to now. For you to know, the hotel originally opened in September 1961 as Davao Insular Hotel and a masterpiece of National Artist for Architecture Leandro Locsin. 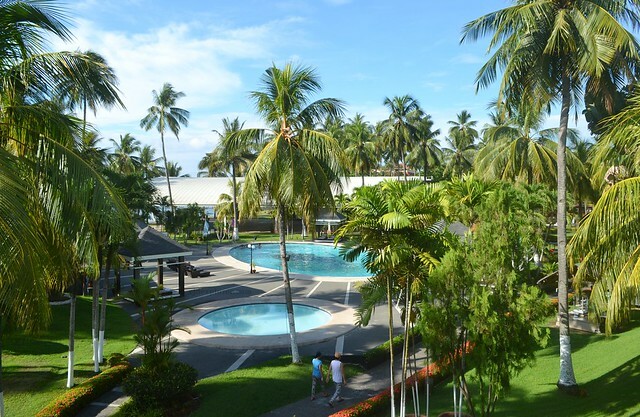 The hotel was re-launched and renamed to Waterfront Insular Hotel Davao in November 1999 and now one of the four hotels under the Waterfront Hotels and Casinos. For morning walks, the paved way that surrounds the expansive garden can serve as your trail. Aside from that, the walking path offers a great view with the different hues of green that envelopes the garden. There are also gazebos near the beach that can serve as intimate venues for simple celebrations. 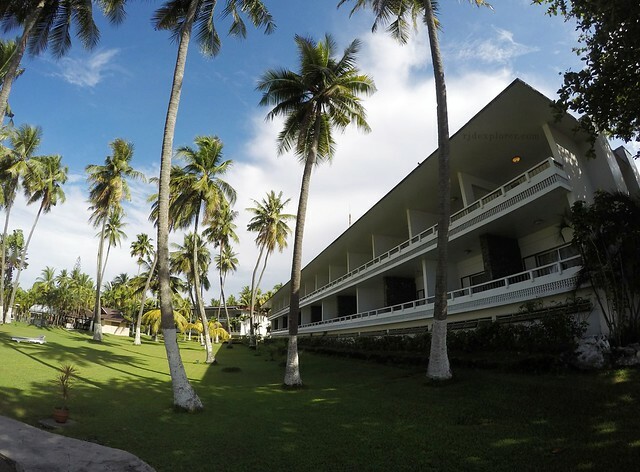 The towering coconut trees serve as shade whenever you want to relish the moment by sitting on the grasses. During our leisure walks, we met a member of the management and asked if we can take a peek at the other rooms available. He showed us the Deluxe Room and Executive Suite which at that moment were the only unoccupied rooms. Deluxe room enjoys the same amenities like the Standard one but it has its own lanai with the view of the garden and the pool. Meanwhile, the Executive Suite has its luxury of having a receiving and dining area, a king bed, big bathroom, and own balcony. 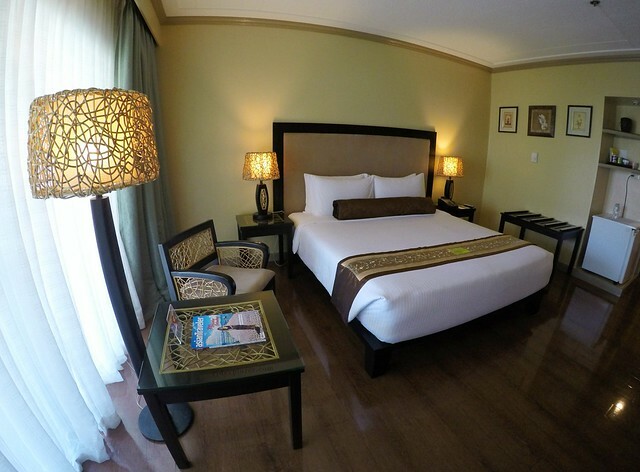 Waterfront Insular Hotel’s Executive Suite. The hotel has four restaurants where you can dine and lounge during your stay: Cafe Uno, Pizzaiolo, Vinta Bar, and Pool Aquarius. 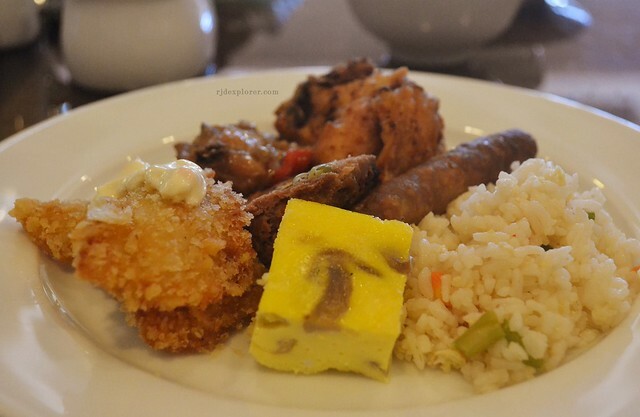 Cafe Uno is accessible from the lobby and the usual place for buffet breakfast and lunch. Pizzaiolo, a somehow al-fresco dining where you can relax on the view of the perfectly landscaped garden while savoring western meals and the best pizza in Davao. Vinta Bar is suitable for guests who had a long day as it is a great hang-out place for some drinks and cocktails. Last but not the least is Pool Aquarius situated just meters from the pool that caters guests enjoying the 10-feet pool and Jacuzzis. During our 2-day stay in the hotel, mornings were usually spent in Cafe Uno having some Filipino staples and international cuisines for breakfast. 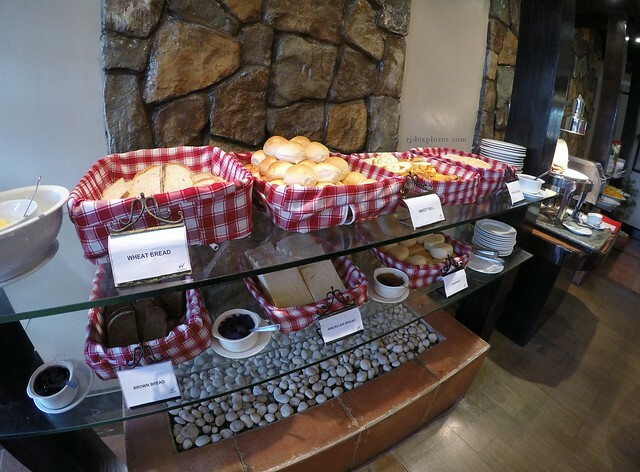 The buffet breakfast has four stations. In the middle of the spread are the viands such as chicken, beef, and fish, plain and fried rice, noodles, and desserts like bibingka and fried banana. On the end of the hall placed the basket of soft breads like pandesal, sweet rolls, wheat and American bread. 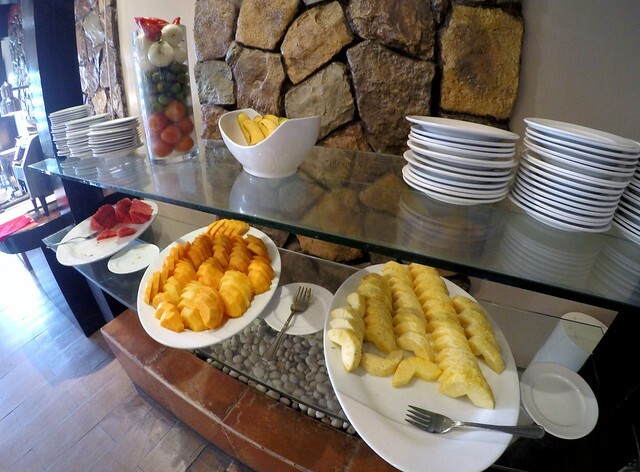 In addition to these are fresh fruit platters like watermelon, pineapple, papaya, and banana. Located between these two stations is the dish of the day, tuna roll and bacon, during our stay. On the side is the omelette section where you can choose your preferred ingredients, hot coffee, tea, fresh milk and cereal are also available. Last is the salad and cheese station. One of the things I also enjoyed during our stay was the fast wireless connection. If you’re a business traveler and always need a stable internet connection, the hotel offers WiFi for free. They also have numerous function halls and conference rooms that can cater 15 up to 1500 guests. 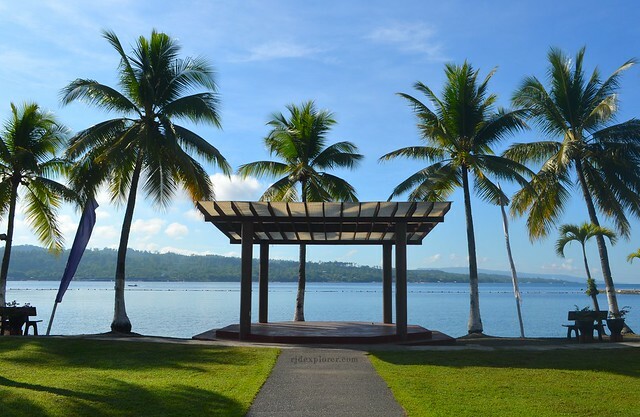 The largest hall, located at the middle of the garden, is an ideal venue for large gatherings like weddings and meetings with the Davao Gulf and Samal Island on the background. With a lot of high-rise hotels emerging in Davao, Waterfront Insular Hotel Davao may not be the top option. 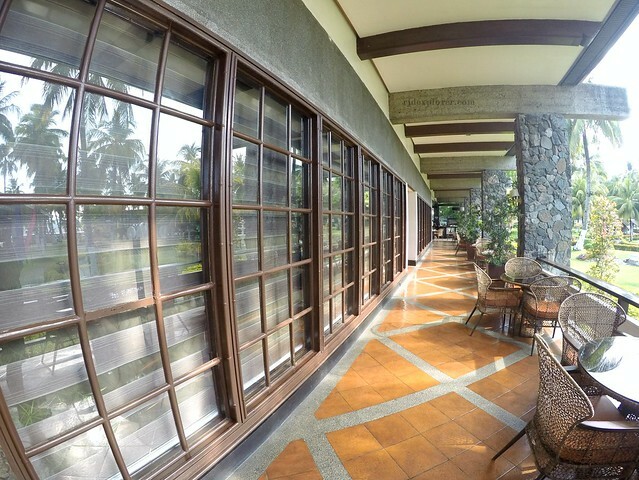 The only thing that the hotel/resort ensures is its natural feel that is still accessible to Davao City’s business districts and shopping centers. In addition, the hotel’s physical charm is a rarity and a visit will ensure you a tranquil stay that will make you book a room on your future visits to Davao. 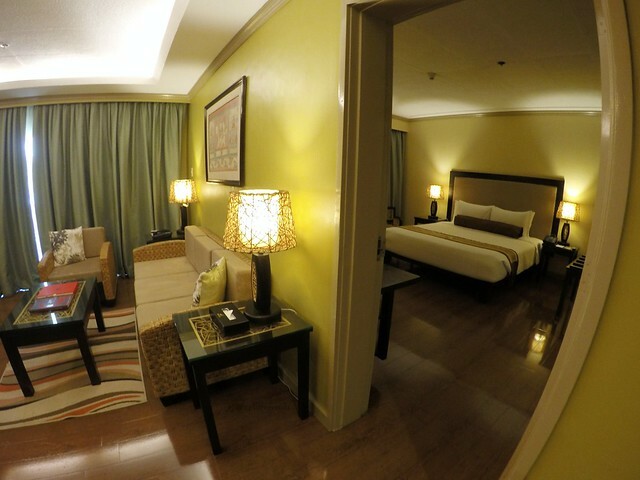 Stay in Waterfront Insular Hotel on your next visit to Davao City. Check out some discounted rooms here.